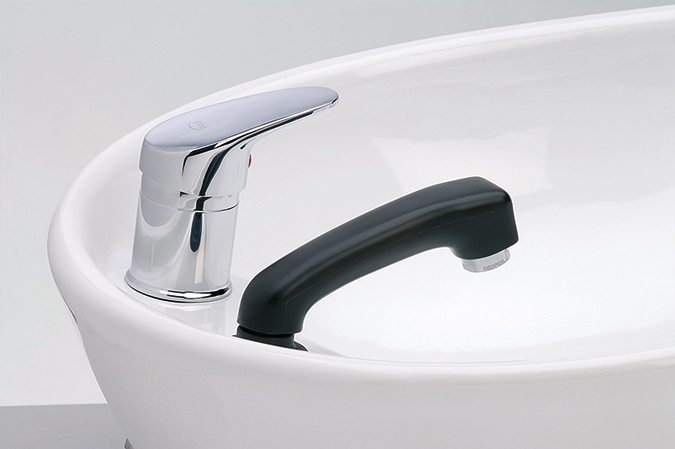 AquataMIX single lever mixer tap with ceramic seal, hand spray and hose feedthrough in black. Hot and cold water pressure hoses 30 cm or 40 cm long. Spray hose in black, optionally 100 cm or 140 cm long.